I’m a native Mississippi artist and have been painting and crafting for as long as I can remember. 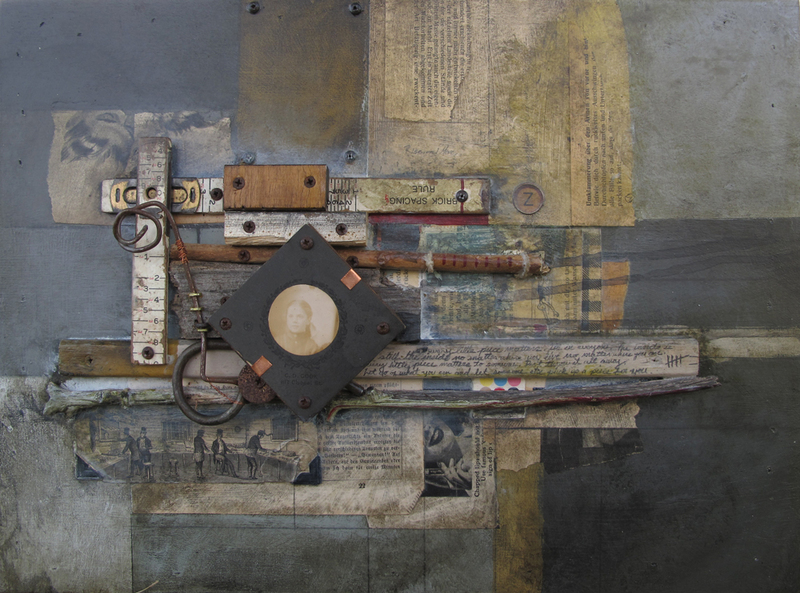 My work references both the physical and the spiritual, decay and renewal, the external and internal worlds. The creation process is a sort of spiritual exploration for me. I try to turn off myself, my brain, and my ego when I create. I try to create from a place of pure spirit. The less I think, the better I usually work. When painting abstractly, dirty brush washing water is just as important as new paint. Every artist working with paints has the jar of water or turpentine that brushes go in and out of while painting. I like the idea of the ‘trash’ that would normally be washed down the drain being on the same level as the untainted paint straight from the tube. It’s sort of a metaphor for how I see the world. The ugly parts of life can always be recycled and reused to help build new ideas and experiences. 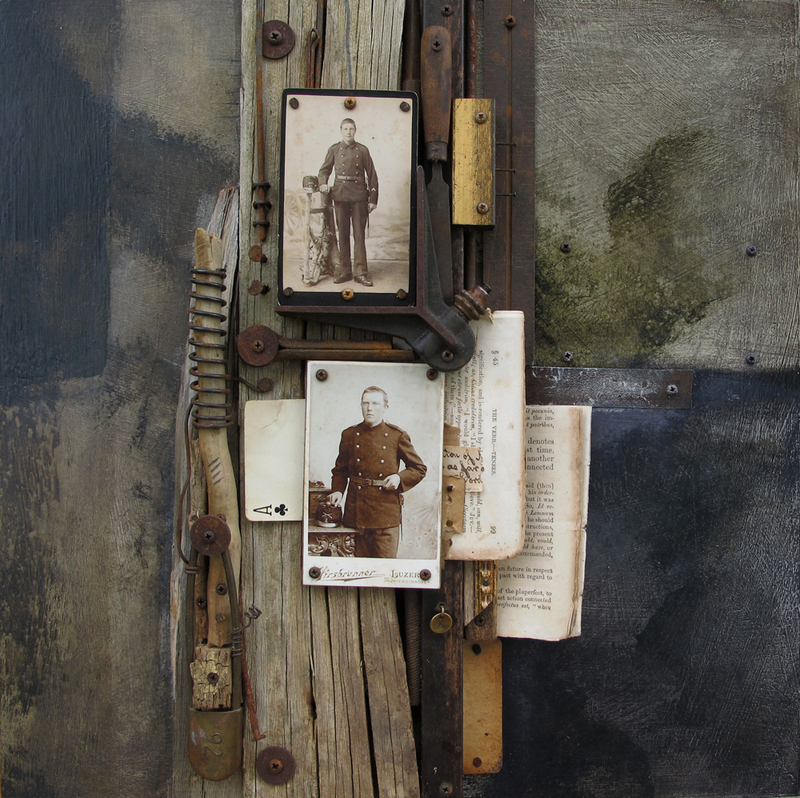 The artworks I create are shrines, reliquaries, totems, altars, love letters, journals, and collections of memories. I both construct and reconstruct their history, purpose, and meaning. They are products of their environment, pieced together from the detritus of the South where I was born, reside, and work. They are rich, dark, and dirty like the history of my home. The South is steeped in a history of dark personalities and deeds. Robert Johnson sold his soul to the Devil so he could play a mean guitar. We’ve ridiculed, oppressed, enslaved, and murdered people because we don’t like their skin color. White Southerners decided it was a good idea to go to war pretty much because we didn’t feel like working our own land. Our Archangel Elvis Presley died on his toilet a bloated, bejeweled drug addict, and our literary messiah, and arguably the greatest novelist in history, William Faulkner was by most accounts a rude, shut-in alcoholic. Yes, we have a sordid past colored with dark, tragic characters and bad behavior. But who doesn’t? Every nation, state, city, person has skeletons in their closet, but even today the South retains its spooky patina. We don’t progress at the same rate as the rest of our country. We move more slowly. Maybe it’s the heat. We haven’t fully covered our scars yet. We haven’t fully buried our skeletons. Our past remains relatively on the surface. Drive down any Mississippi back road and you’ll see it, feel it, and taste it. We tend to embrace our rich, colorful, and sordid history. We seem to have an innate sense of how our past, even the nasty bits, makes us who we are today. The average, the dirty, the discarded and forgotten can all be elevated to god-like status. Lead can be turned into gold. It’s all about perspective and how we perceive ourselves and the world around us. So much of the trash I find and use was once very significant to someone, but they lost it, discarded it, or forgot it. Does that negate its significance? Do we as people become less special if we’re lost or discarded? Does our past define us? Are we innately significant and special beings or is our significance dependent on how we’re remembered once we’re gone? Ultimately, my work speaks to our fundamental understanding of the human condition, as well as our lack thereof. What we leave behind can say as much about the present as it does about the past. Subscribe to kirsteinfineart.com to receive more of these informative, thought provoking blogs on fine arts. Subscribe at the bottom of the page. Click and enter your name and email in the form that will appear.